Ranger’s robust engine hoisting equipment keeps your engine safe and sound during drops and swaps. For lifting a heavy-duty engine, you need a heavy-duty hydraulic folding engine hoist from Ranger. These crucial engine support systems are essential tools for auto repair bays that want to offer full-service support to vehicles. That means being able to promise customers your bay can safely handle big jobs in a time crunch. Ranger is the name you can trust to deliver on that promise. 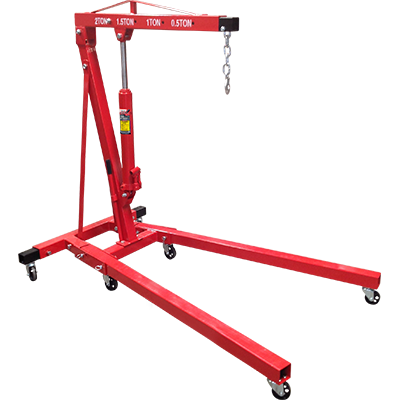 This heavy-duty hydraulic folding engine hoist is perfect for shops that have limited space but still need the pure lifting convenience of a crane. Ranger’s RST-500ES offers 680-kg. of engine support to safely hold the weight of your engine while you conduct basic service and maintenance. Perfect for shops and home garages alike. The Ranger ​7.3-mt. 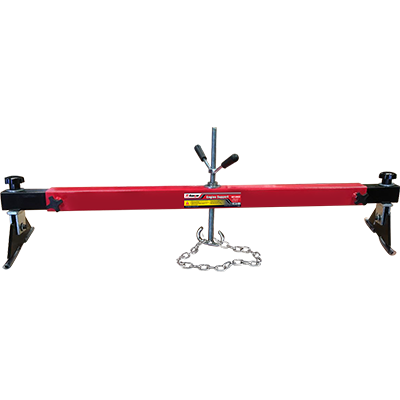 capacity RSC-2TF shop crane features an adjustable boom, a strong steel ram and six casters for smooth rolling. When you’re finished, just fold it up and place it in the corner of your garage for safe keeping. When this much power is matched by true portability, you know you’re dealing with a Ranger product. To hold an engine up off the ground, try the Ranger RES-1TF 1-ton capacity rolling engine stand. The Ranger RES-1TF boasts a sturdy base and a convenient 360° swivel claw for precise positioning and flawless operation. This engine stand is essential for ensuring precious engines are secured in place at all times. Car enthusiasts often require specialists to look at their engines, and they have a hard time outsourcing work to strangers. Show them that you deserve their business by putting the world’s best equipment in your shop. 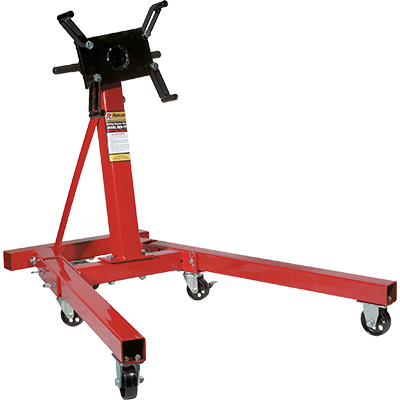 Our engine stand is superior quality and sure to impress your customers while offering peace-of-mind to your employees. If you need a quality, high-capacity engine support beam, Ranger’s got you covered there, too. The Ranger RST-500ES is designed for incredible adaptability with threaded adjustable chain hooks and telescoping side foot pads. Whether you’re dropping a sub-frame or working on a transmission, the RST-500ES is a user-friendly, time-saving engine support beam that benefits every shop.